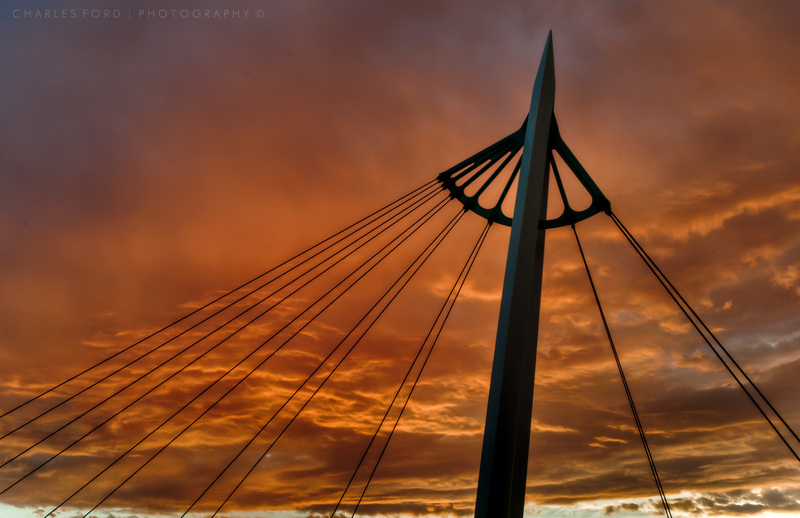 A fiery sunset behind one of the bridge towers in downtown Wichita. Some people think the design of this pedestrian suspension bridge was overdone, overpowering the site with it’s tall dual towers. I find it pleasing and a favorite photographic subject that I am drawn to again and again. 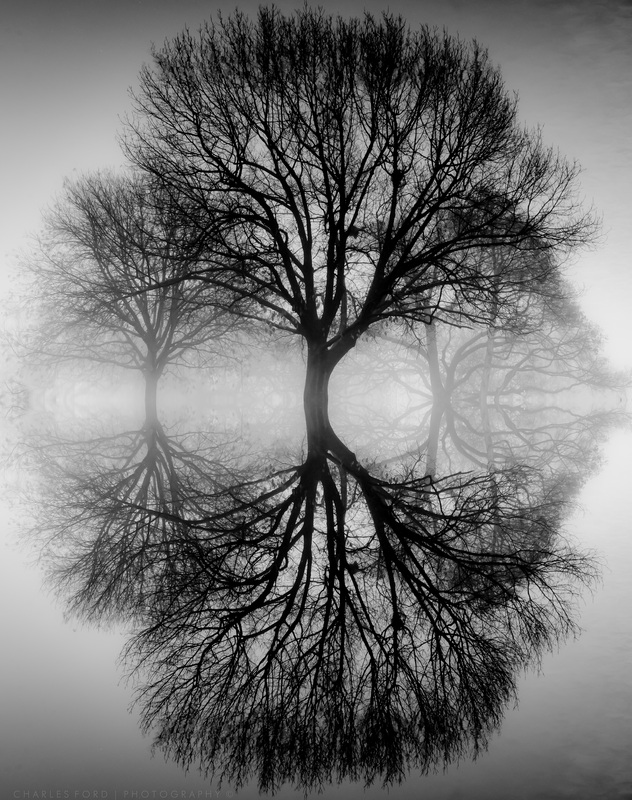 If nothing else, I know it looks very interesting in the fog, or with a spectacular sunset behind it. Sure, it looks peaceful, and it was. The sky was finally looking interesting on Sunday afternoon so I took off for the country. That sounds more photographer-ish than the truth, which is that this is taken at a local county park which I believe is within the city limits of Wichita. What this photo cannot convey is the searing heat during which it was taken. What we are left with then, is a tranquil summer scene, minus the heat. 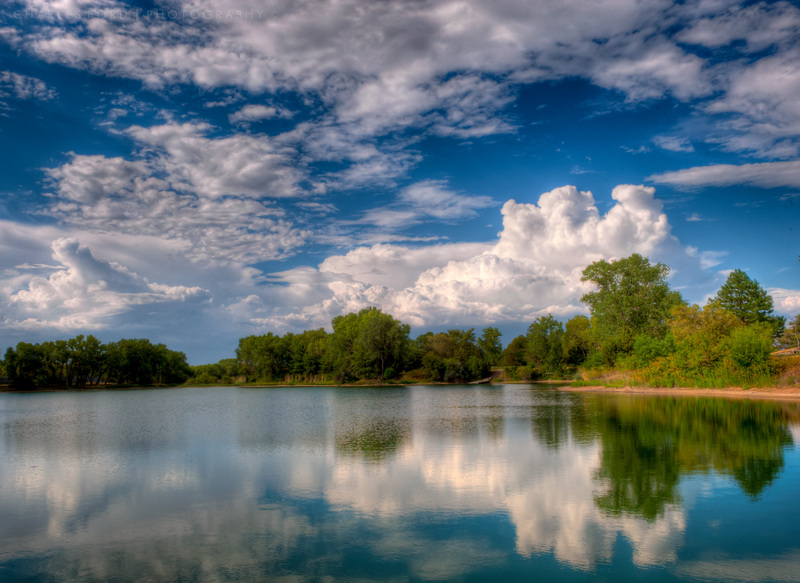 This is a three exposure HDR, processed in Photomatix and Lightroom as is my custom. I am putting this location in my hip pocket for future use, it should be a nice spot for anything happening in the sky to the north or northeast. 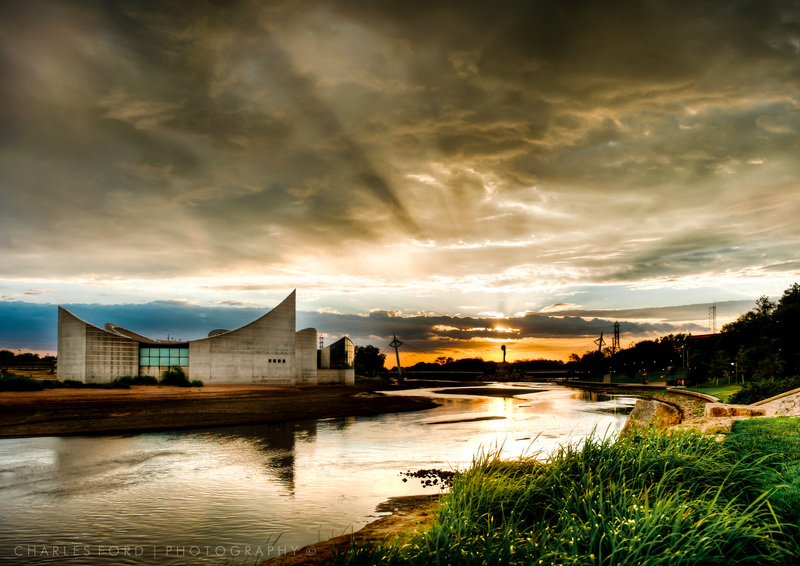 This is one of those photos that I think looks better the larger you are viewing it. Please feel free to click for the jumbo version. Hey Guys – It’s Raining! Another in my epic ‘Happy Bird’ series…well I guess two images do not really a series make…but I digress. 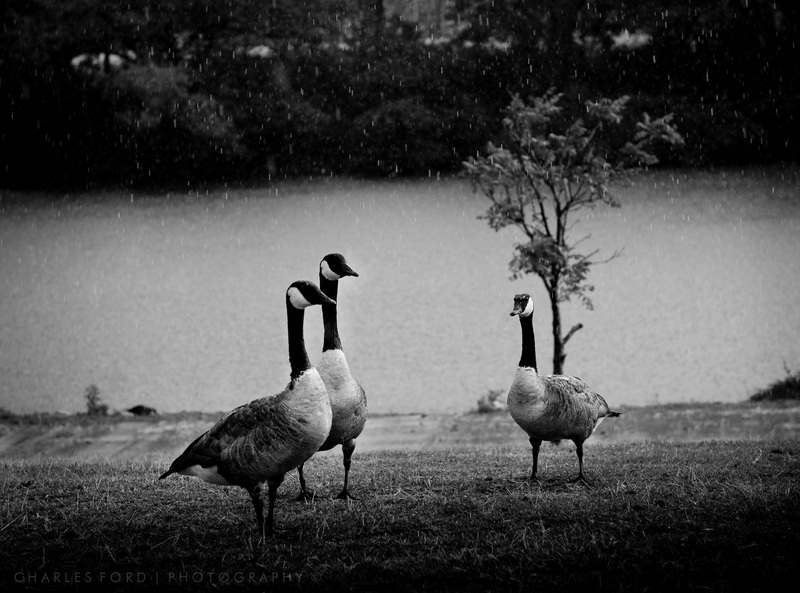 Taken within minutes of last week’s “Happy Duck In The Rain”, these geese seemed both happy and surprised at the rain. We are in drought conditions in Wichita and this shower was a wonderful little anomaly. 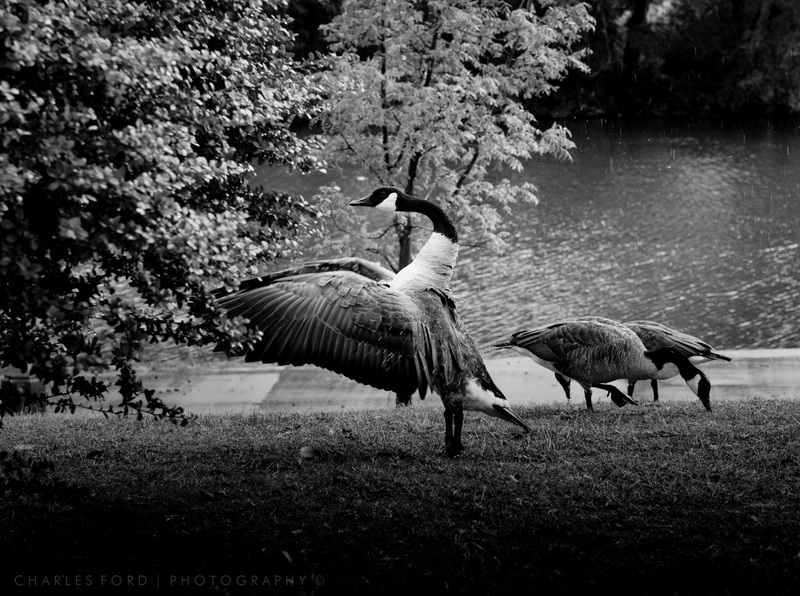 I would also like to state that no geese had to be paid off for this one, they were happy to pose during the shower. I was using my vehicle as shelter and shooting out the open window. 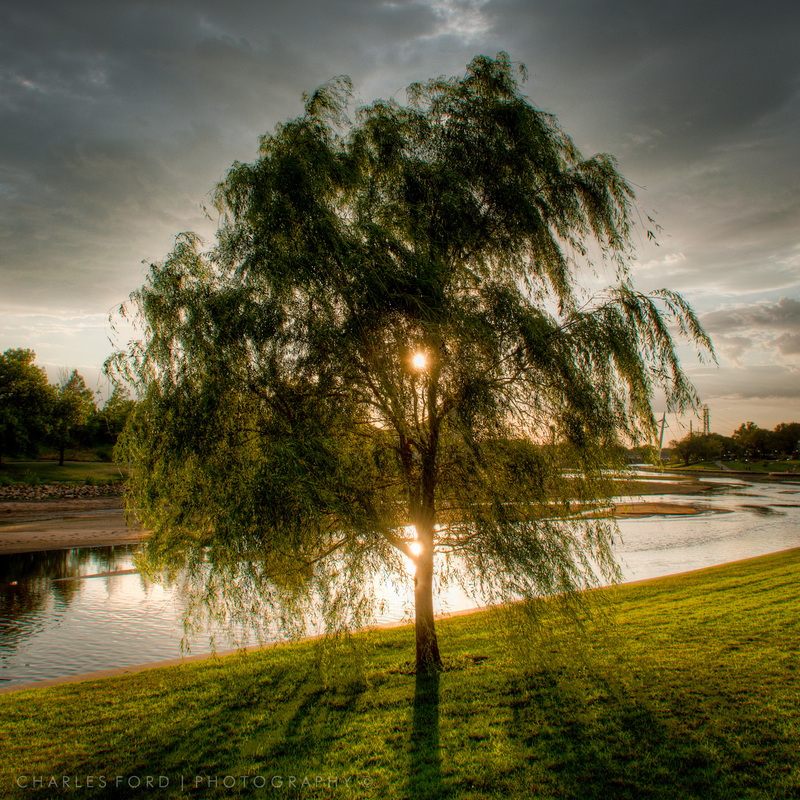 This is a lovely little tree on the bank of the Arkansas River near downtown Wichita. I fussed around it for about a half hour, trying to figure out what made it so appealing, and how to shoot it. 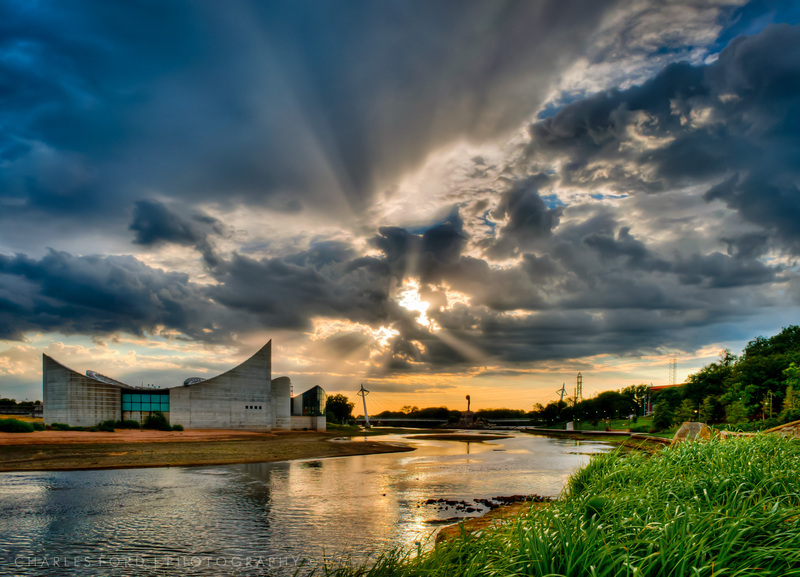 I think this straight-on, square cropped, backlit HDR approach ended up being my favorite. This one’s for a certain blogger in Webster, NY. I slipped the goose five bucks and he agreed to pose. Actually, I believe he was enjoying the rain shower and perhaps shaking off excess moisture. Couldn’t figure out how to crop this one and follow the old rule of thirds, so once again we have a rule violation from yours truly. 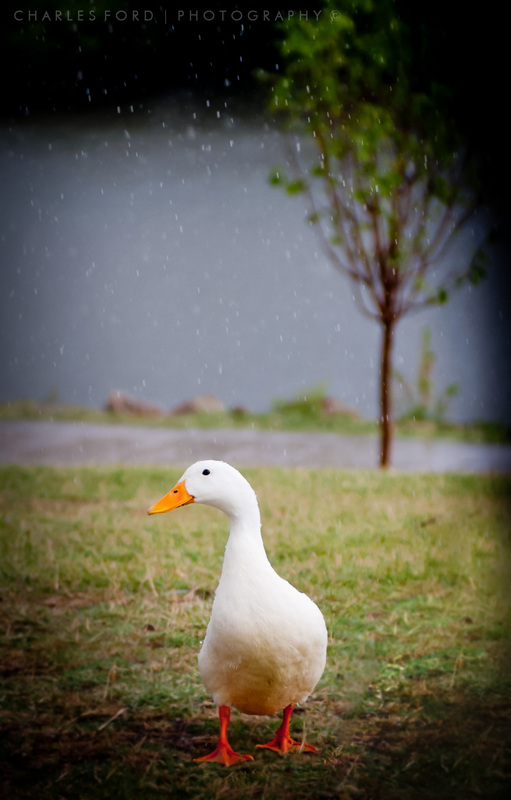 This is something I like to call “Happy Duck In The Rain” . Hey, it is what it is, I am a simple guy. 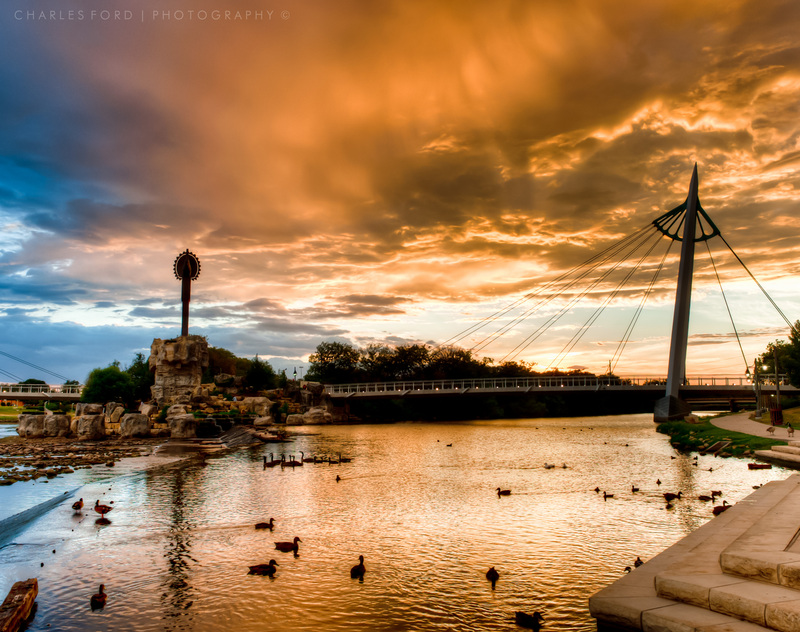 Wichita is experiencing a period of intense heat and drought. Last Saturday we had a record breaking scorcher at 111 degrees. Tuesday evening I had noticed the sky was looking interesting, so I set out downtown to the river area. As I parked a brief but potent little rain shower erupted, much to the delight of the ducks and geese in the area. I waited the rain out, and the sky got interesting again. More on that later.